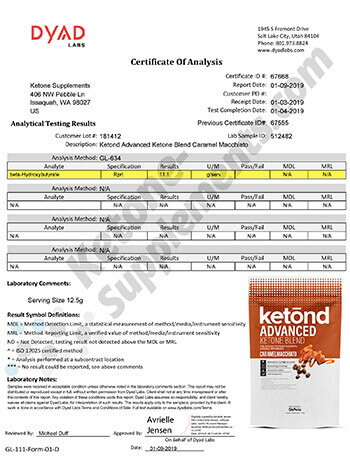 Ketone Supplement Lab Reports -What Are the Best Ketone Supplements? 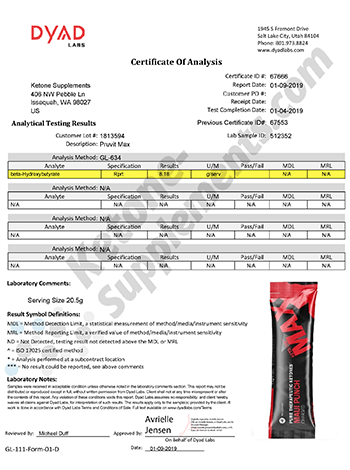 Ketone supplements are EXTREMELY popular - and why shouldn't they be!? When properly dosed and when used correctly, these supplements provide a lot of health benefits. 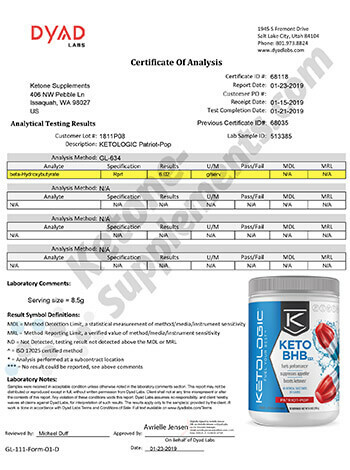 When it comes to Ketone based "keto" supplements the only thing you are paying for is the Beta-hydroxybutyrate (or BHB). BHB is EXTREMELY expensive. At the moment it's probably one of the most expensive supplement ingredients available. Companies love to make money (who doesn't right?). So they get pretty tricky when developing these products. Some will "hide" the amount of BHB in a "prorietary blend". Some will try to sell you a terribly under-dosed pill. Some will actually include a lesser amount than they claim on the label. Not all of these companies are "evil" - there are a few that fully disclose and are 100% transparent in the ingredients and amount they use. It has become almost impossible to truly know which products would work and which would not... Until Now! We bought all of the most popular keto supplements available and had them delivered to Dyad Labs. 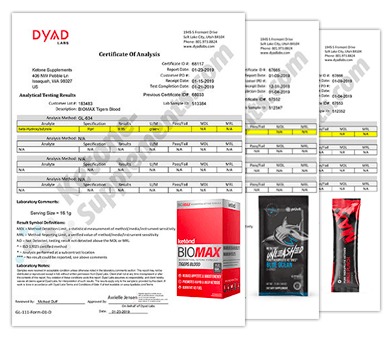 Dyad Labs is an ISO/IEC 17025:2005 accredited contract laboratory providing specialized chemistry and microbiology testing solutions to the Nutraceutical and Food & Beverage industries. We wanted to see how much "Active BHB" is actually contained in each serving of those products. 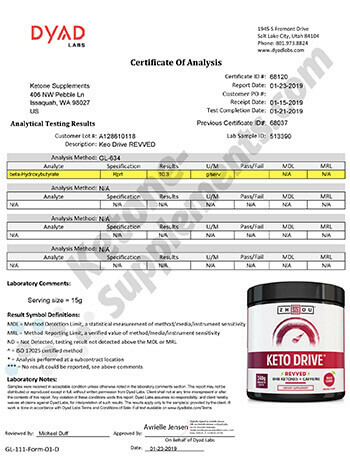 Beta-hydroxybutyrate (or BHB) works best when it is attached to a mineral compound such as sodium, potassium, calcium or magnesium to form a ketone salt. That's why when you look at the ingredients label on a supplement you will typically see something like "Sodium Beta-hydroxybutyrate (as goBHB) or something similar. When you separate the BHB from the mineral you are left with "Active BHB". Active BHB will always be lower than the amount of BHB listed on the label. If you see an amount of Active BHB that is lowere than the dosage on the label don't be alarmed! This is totally normal and expected. 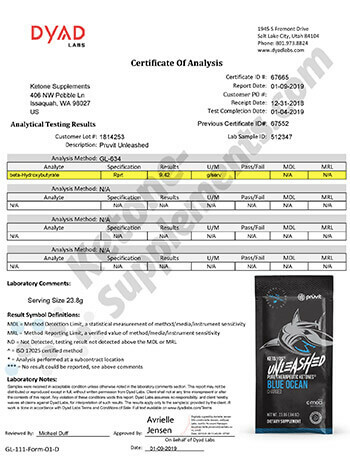 If a supplement contains a clinical 11.7g dosage of goBHB and the lab reports 9g-10g that just means that it was bonded to 1.7g-2g of minerals. What would be concerning is that if a brand said that it containd 11.7g per serving and the report shows 6g of Active BHB. That would raise red flags! Active BHB is really the most valuable information you can get if you want to find the best keto supplement. 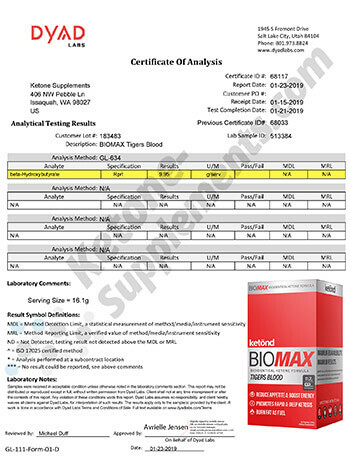 See the lab reports for yourself - they don't lie! If you are currently taking a ketone supplement, you can see how your product performed in the lab. 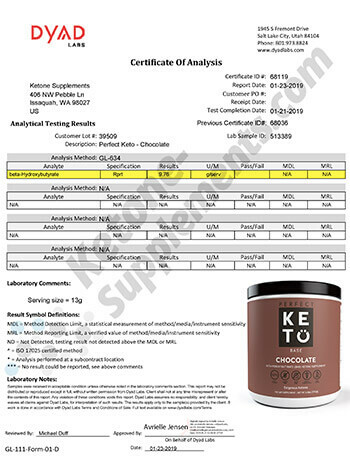 Check out how much you are really paying for your ketones!